Scrapbook Expos generate a lot of interest in my part of the world! Do you go to Scrapbook Expos when they come to town? I had a wonderful day in June at the PaperCraft Expo in Brisbane. They always seem to have people there who come up with new ideas, equipment and machines and I always want everything! You will be pleased to hear I was (sort of) restrained and only came home with some new paper, three new tools, some new paint colours, some freebies and some 'make and takes'. One of the best things about such shows is the chance to meet up with so many like-minded people. Everywhere I looked there were people on stalls or giving classes or browsing who I just knew were interested in everything to do with paper crafting. That's a very special feeling to me. These people knew about all sorts of things that non-papercrafters just didn't know. Try talking about Big Shots and Accordion Albums to non-crafters without explaining what they are. They will think you are talking about important people and musical instruments, right? Lol! I love the social aspect too. I had the company of a good friend and we were able to meet three other lovely friends for morning tea, another wonderful friend for lunch, and three more for afternoon tea. We still managed to visit most of the stalls and take part in some of the free demonstrations, see some showcase events and of course we got to browse through thousands of products for sale, often at discounted prices. Friendly stall holders provided heaps of information, brochures, free copies of magazines, and even some free stamps. 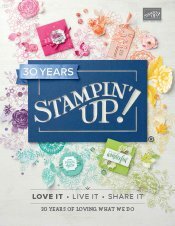 It's also a perfect time to see what might be the new trends in paper crafting. One year I noticed new brands of cutting machines were everywhere. There were manual ones, electric ones, computer enhanced ones and even free software discs on some stalls. I think home decor items are going to grow even more popular and the variety or products and projects available for enhancing your home is going to grow too. Another trend is to provide lots of ways to have customised embellishments. Another year I noticed cupcake embellishments, doilies and dress forms. People were interested in gift packaging another time. I wonder what will be popular next year? The only regrets I had were that I forgot my camera a couple of times and I could have spent another day, just taking in all the displays and classes available. I think such days are perfect for inspiring and enlightening us crafters about new paper craft techniques, products and machines. Talk about getting your mojo back. It's one of the best ways I know to do that. You can find out about events being run in your area by searching for craft expos online. Try adding your town's name to your search. For example, in Brisbane, Qld, Australia, the Scrap Book and Papercraft Expo site always has details of what is coming up. You can also ask at local craft shops about what events they are aware of. Another great source of information is fellow crafters! Often word of mouth is how people find such events. You might gain the bonus of attending with a few crafty friends too, by asking if they know when an expo is coming up. Local radio, newspapers and magazines will be advertising events such as this. There could also be posters and billboards around your town advertising expos. 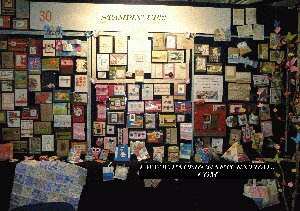 I hope you will get to attend a Scrapbook Expo and have a great time. If you enjoyed reading about this, you may also like to find out about the Cards for Troops drive, or about how to run a Craft Auction yourself.